As a leader in the 360-degree information processing, Imperium has been, since its creation in 2000, the leading data provider for the company's productivity, whether it is an advertiser, a communication agency, or a media company. To accompany decision-makers in their search for information, Imperium offers them rich, precise, concise, and illustrated deliverables. 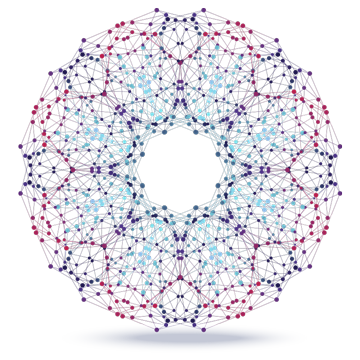 Imperium has 250 team members and consultants, experts in their fields of activity and data and business intelligence. Through 19 years of existence, Imperium has developed an exclusive and exhaustive offer, designed to bring relevant information with ease. Market studies, analyses, information sources tracking, press reviews, advertising monitoring, barometers, benchmarking, etc. are generated in real time whatever the terminal used. Alongside the state-of-the-art technological tools it is equipped with to collect information, Imperium develops, In House, its own working tools and consulting and reporting applications to generate accurate and useful online and offline information. With a proven track record in the Moroccan market, Imperium capitalized on its expertise to export to several countries in Africa, Europe, and the Middle East. A wide range of products is thus made available to the company's customers across 13 countries. Imperium has developed a series of proprietary applications able to process huge volumes of data structured to generate reliable and filtered information according to each need, and they are tracked through 6 different sources: editorial, advertising, BTL, social & web, institutional, and legal. For more ease of use, Imperium has brought a complete solution, compatible with all common platforms. Its contribution varies from the simple restitution of structured data to the most advanced analyses and modeling. From your smartphone or tablet, regardless of your terminal or operating system, you have access to your object of special concern in real time on an ergonomic and easy-to-use platform. By optimizing the application to mobile devices, you will have access to all your object of special concern each time whenever. Whatever the nature of your mobile connection, your watch application is designed to offer you optimum navigation comfort. The ergonomics and image quality have been specially designed to fit the screen of your smartphone, regardless of its size and configuration, to give you easy access to information. Our support team is trained to answer all your questions and your needs for additional information and assists you throughout the process of using your platform. Our teams take care of all the steps required to install your application beforehand and to carry out the necessary follow-up to its deployment. All editorial and advertising data since 2000! 19 years of integration and treatment at your disposal in a few clicks. Access all the information in your activity area with 15 years of retroactivity. Fast and directly on the web: research, consult, analyze, and edit all information to support your decisions and illustrate your recommendations with clear and accurate dashboards. 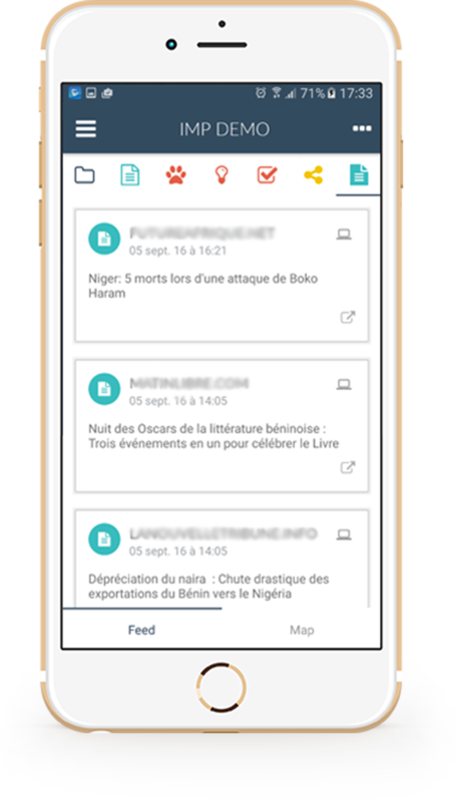 Receive all the production of national and international information every day, starting from 3:00 am, a few minutes after its edition, and directly on your mailbox or on all our applications. Throughout the day, our feed is updated in real time on your interfaces of choice. Imperium is also tailor-made solutions, market research and reports on the fly. Whatever your application of choice in the broad panoply of Imperium, you will be able to generate clear and comprehensive reports of the information you are interested in. 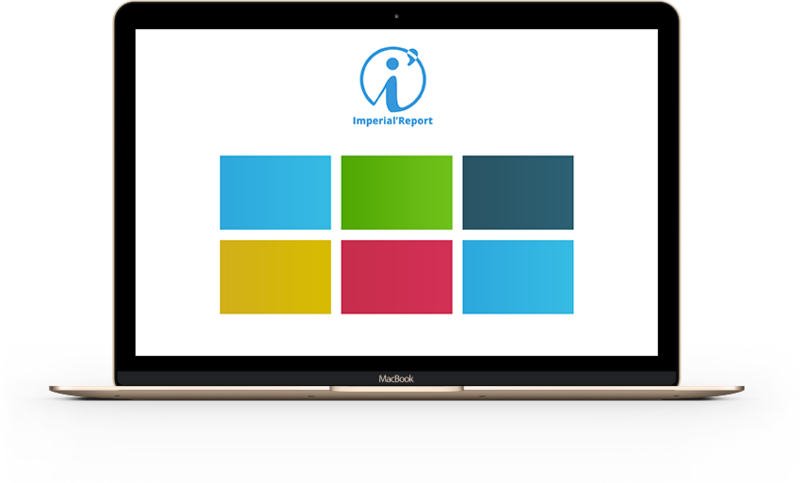 Built to instantly provide you with a clear overview of all the useful information, the reports generated via Imperial'Report will be your ally to support your comments with proven facts and build relevant presentations.